Third Space: The Flourish of Friendship - Claire Bushby and He Jie 何洁, 2014. Third Space is an ongoing creative research project between the School of Communications and Arts, Edith Cowan University and the University of Shanghai Science and Technology. The project links up students and staff from the two universities to develop collaborative artworks based on Homi Bhabha’s social theories of third space in relation to modern hybrid societies and diaspora. Claire’s cat is named Nerissa, Jenny’s cat is named Mirrisa.This odd coincidence led them to make a very pragmatic list of their personal similarities and differences; likes, dislikes, gender, age, languages. It didn’t take long for the artists to realise that they have far more commonalities and overlaps in interests than differences. In fact, they often have felt like sisters who grew up in different places. be grown together. 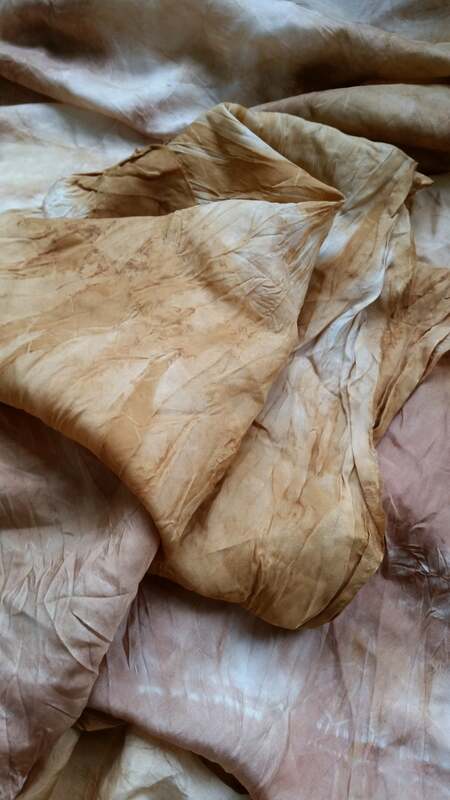 Jenny experimented with drawing plants and flowers on parchment and rice paper with burning Tibetan incense, Claire has dyed silks in the pigments of bush plants boiled over a campfire. This friendship has been very special to both of them. It is blooming and growing, experiences and ideas begin to overlap each other as the friendship takes root. The experiments gave them a good chance to think about the stories and features of the plants, as well as how they are similar or different in many ways, just like the two artists themselves. The formation of this art work is a reflective process, growing a better understanding of the plants local environment and the artists themselves.